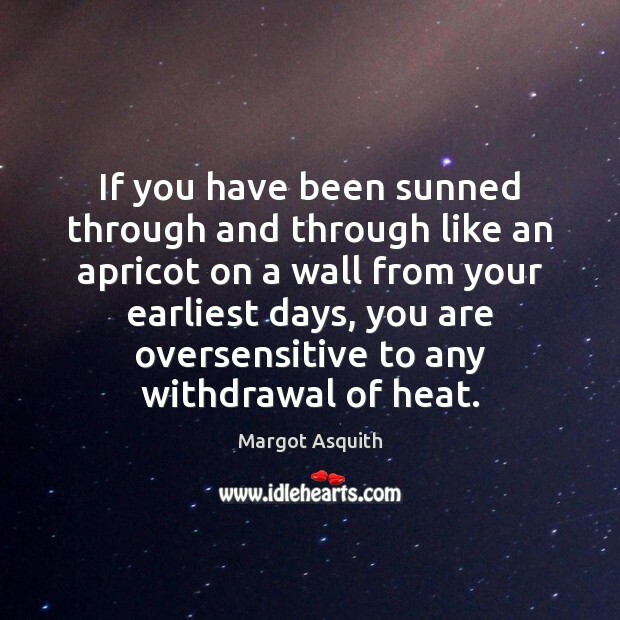 Quotations about Apricots. Quotes to stimulate mind and drive action! Use the words and quote images to feed your brain inspiring things daily! 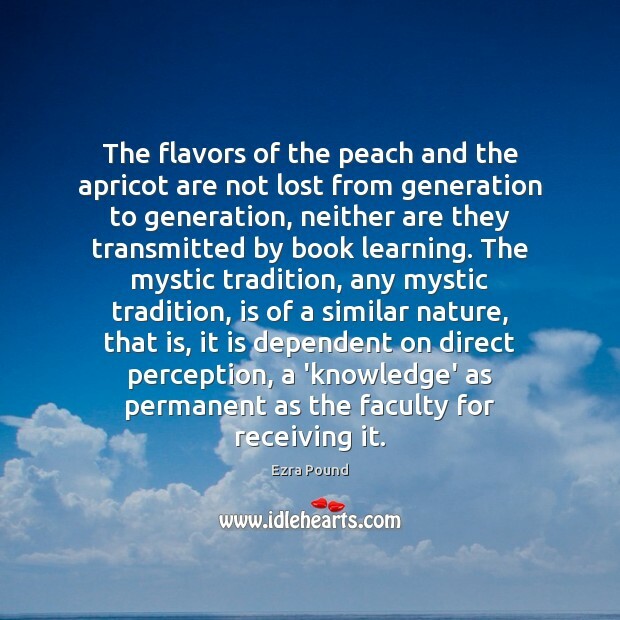 The flavors of the peach and the apricot are not lost from generation to generation. Neither are they transmitted by book learning. So much of our early gladness vanishes utterly from our memory: we can never recall the joy with which we laid our heads on our mother's bosom or rode on our father's back in childhood; doubtless that joy is wrought up into our nature, as the sunlight of long-past mornings is wrought up in the soft mellowness of the apricot; but it is gone forever from our imagination, and we can only believe in the joy of childhood. Orange strengthens your emotional body, encouraging a general feeling of joy, well-being, and cheerfulness. 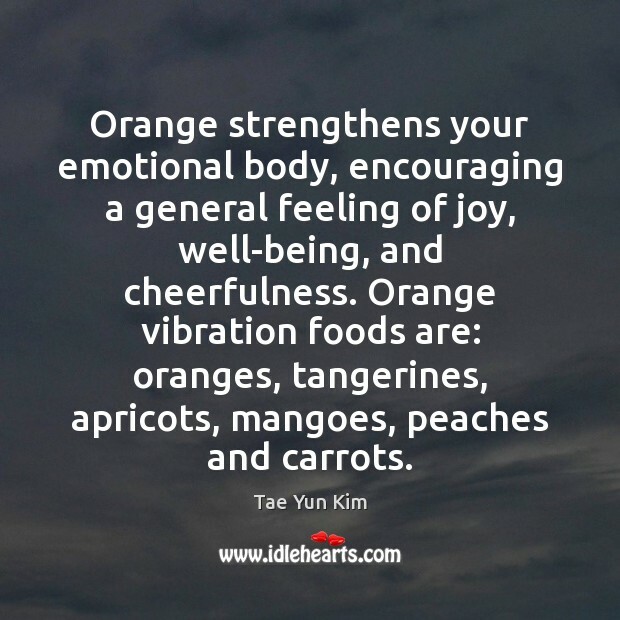 Orange vibration foods are: oranges, tangerines, apricots, mangoes, peaches and carrots. 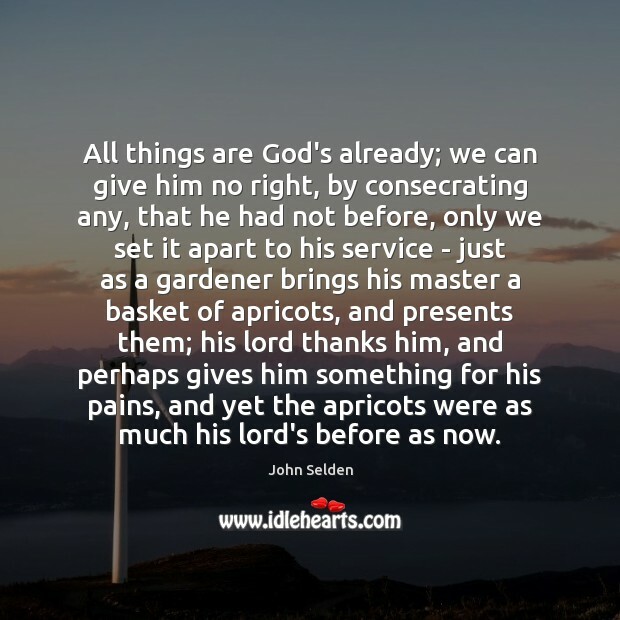 All things are God's already; we can give him no right, by consecrating any, that he had not before, only we set it apart to his service - just as a gardener brings his master a basket of apricots, and presents them; his lord thanks him, and perhaps gives him something for his pains, and yet the apricots were as much his lord's before as now. 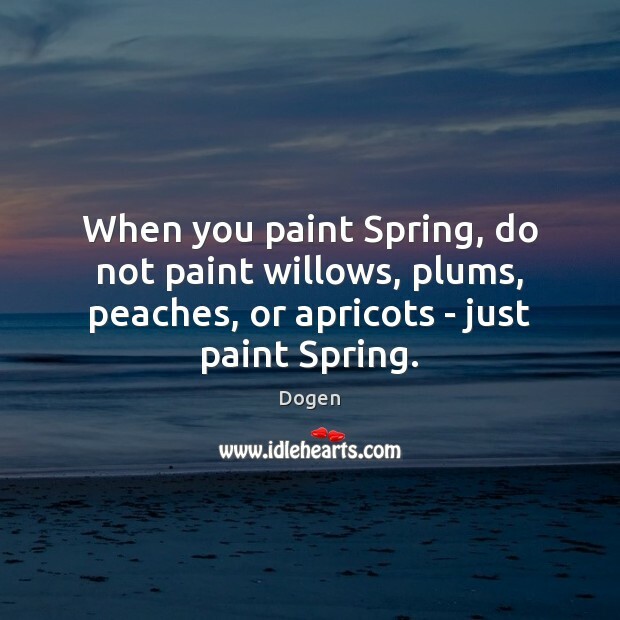 When you paint Spring, do not paint willows, plums, peaches, or apricots - just paint Spring. 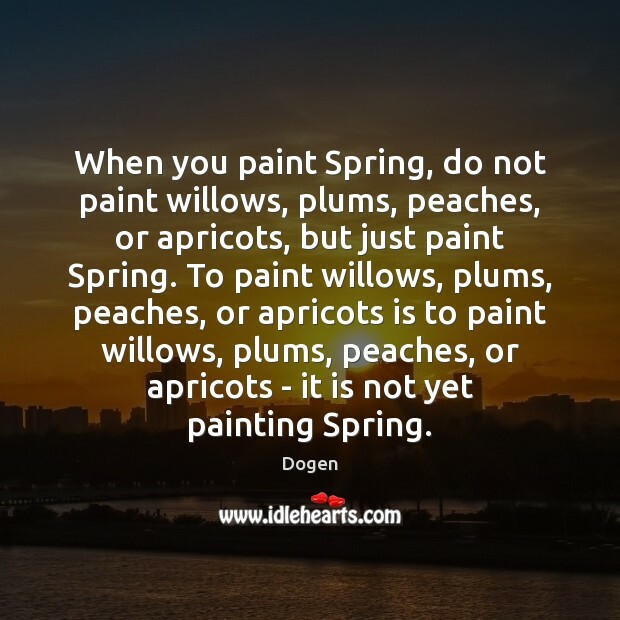 When you paint Spring, do not paint willows, plums, peaches, or apricots, but just paint Spring. 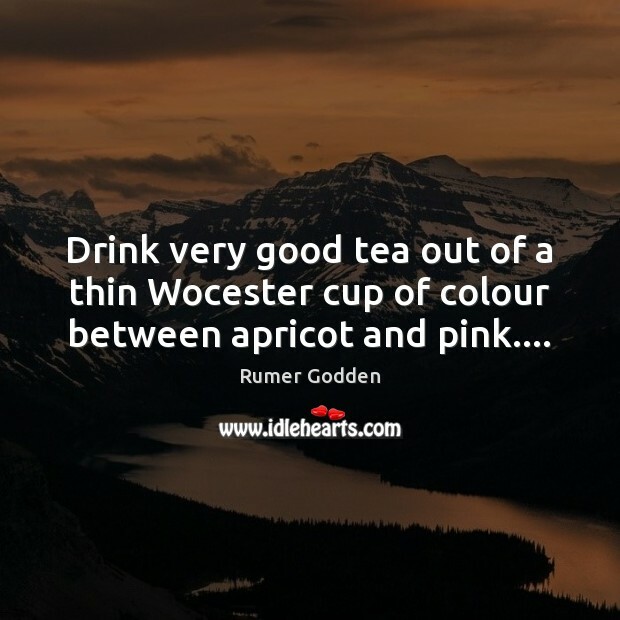 To paint willows, plums, peaches, or apricots is to paint willows, plums, peaches, or apricots - it is not yet painting Spring. I love, love, love apricot baby food. My closet in the kitchen is filled with jars of it. I love Lucky Charms and Cocoa Pebbles cereal. I love my purple couch, and I love dancing. 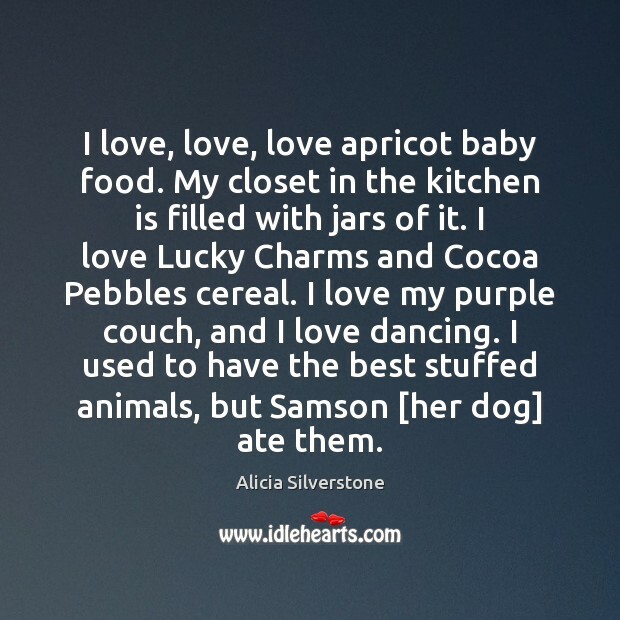 I used to have the best stuffed animals, but Samson [her dog] ate them. 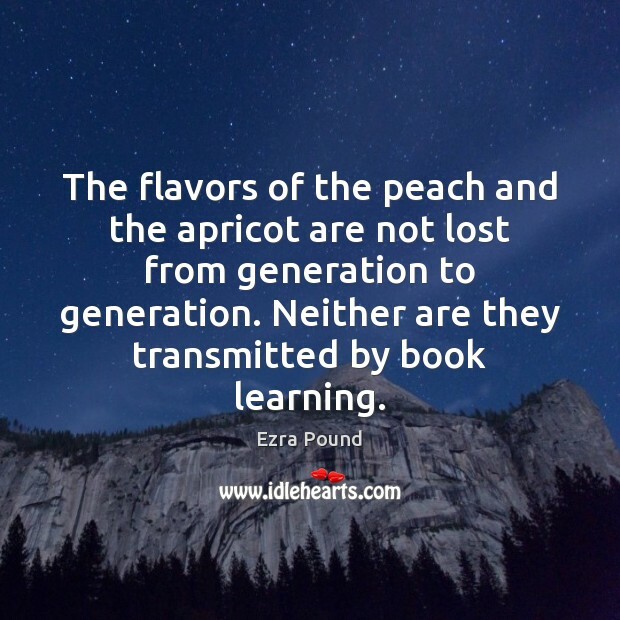 The flavors of the peach and the apricot are not lost from generation to generation, neither are they transmitted by book learning. The mystic tradition, any mystic tradition, is of a similar nature, that is, it is dependent on direct perception, a 'knowledge' as permanent as the faculty for receiving it. 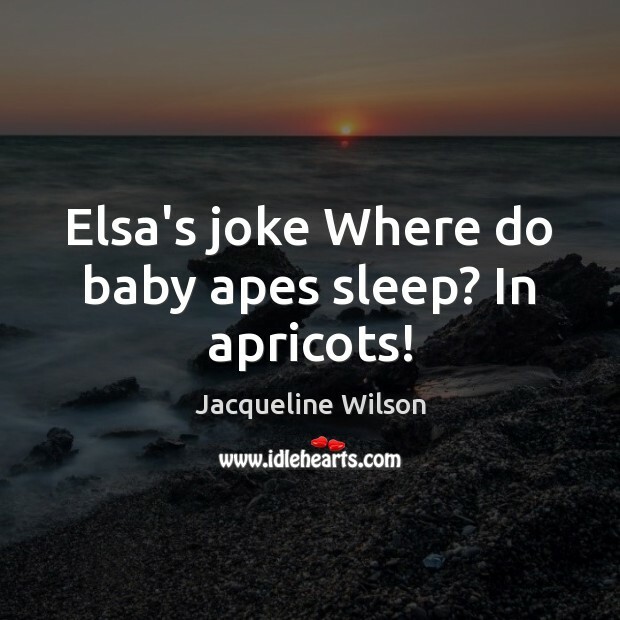 Elsa's joke Where do baby apes sleep? In apricots! I’m not a true vegan. 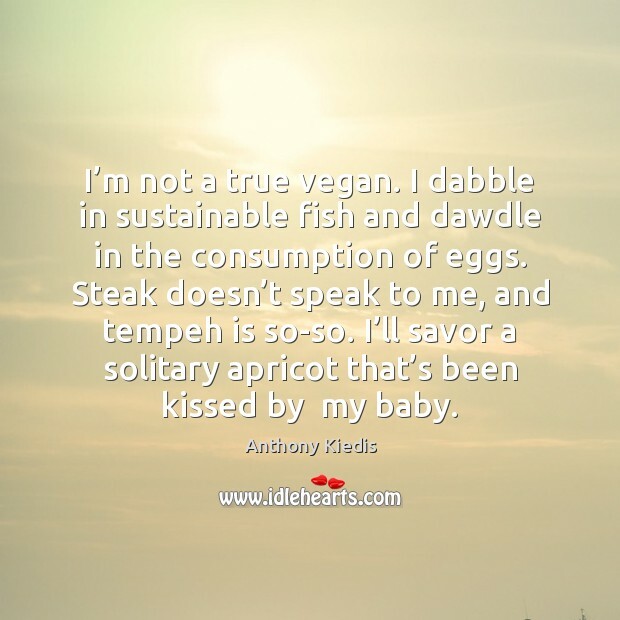 I dabble in sustainable fish and dawdle in the consumption of eggs. Steak doesn’t speak to me, and tempeh is so-so. I’ll savor a solitary apricot that’s been kissed by my baby. 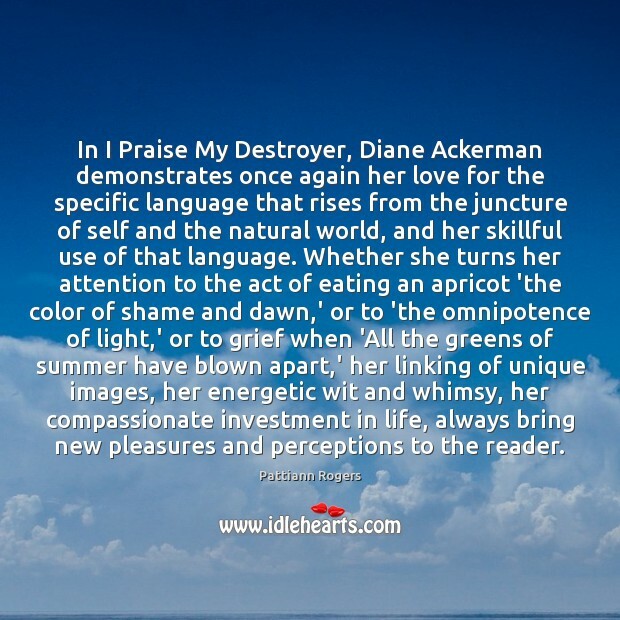 In I Praise My Destroyer, Diane Ackerman demonstrates once again her love for the specific language that rises from the juncture of self and the natural world, and her skillful use of that language. 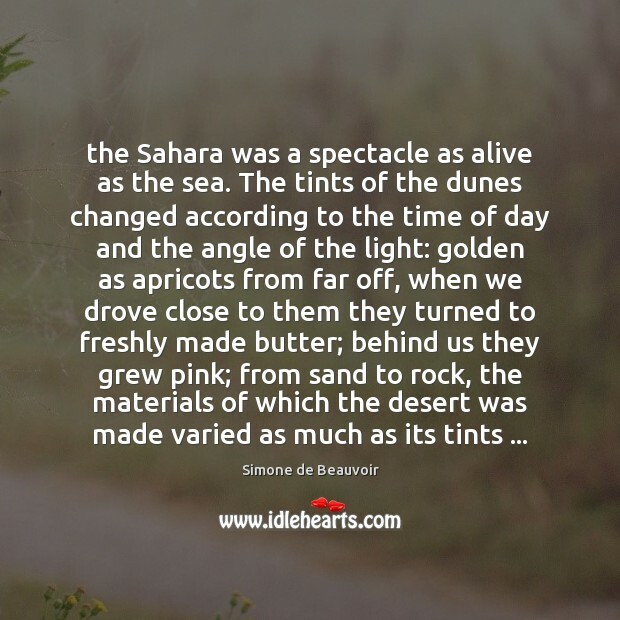 Whether she turns her attention to the act of eating an apricot 'the color of shame and dawn,' or to 'the omnipotence of light,' or to grief when 'All the greens of summer have blown apart,' her linking of unique images, her energetic wit and whimsy, her compassionate investment in life, always bring new pleasures and perceptions to the reader. Girls get screwed. Not that kind of screwed, what I mean is, they're always on the short end of things. The way things work, how guys feel great, but make girls feel cheap for doing exactly what they beg for. The way they get to play you, all the while claiming they love you and making you believe it's true. 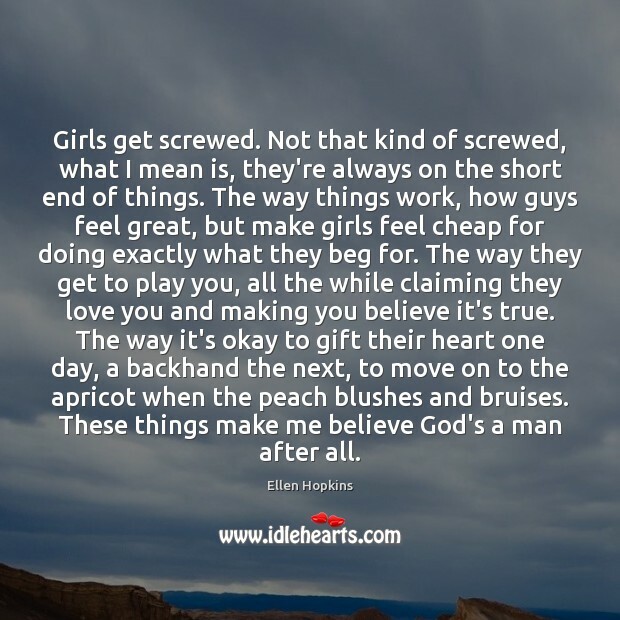 The way it's okay to gift their heart one day, a backhand the next, to move on to the apricot when the peach blushes and bruises. These things make me believe God's a man after all. 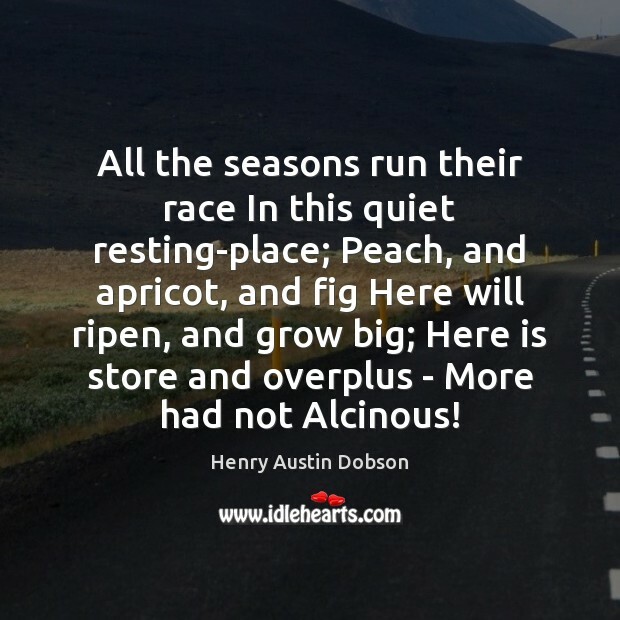 All the seasons run their race In this quiet resting-place; Peach, and apricot, and fig Here will ripen, and grow big; Here is store and overplus - More had not Alcinous! 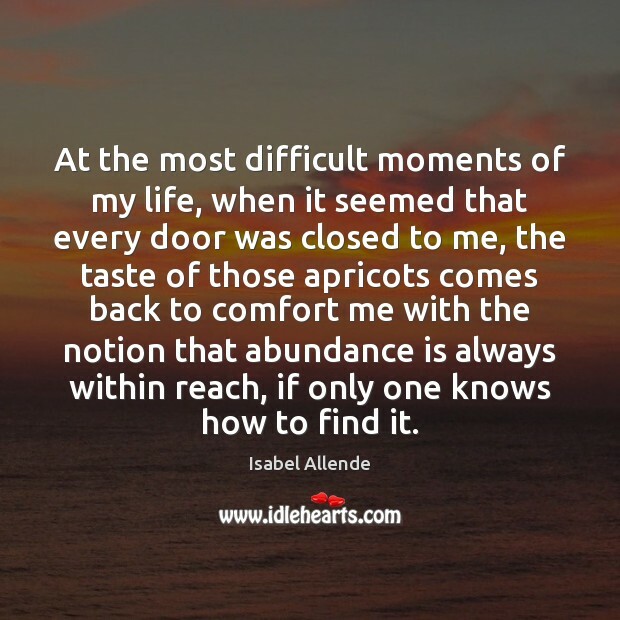 At the most difficult moments of my life, when it seemed that every door was closed to me, the taste of those apricots comes back to comfort me with the notion that abundance is always within reach, if only one knows how to find it.